We provide group supervision and peer support for internal coaches, mentors, volunteer groups and staff. Our supervision fosters a spirit of positive collaboration, builds strong peer relationships, improves competence and sustains ongoing engagement and commitment. 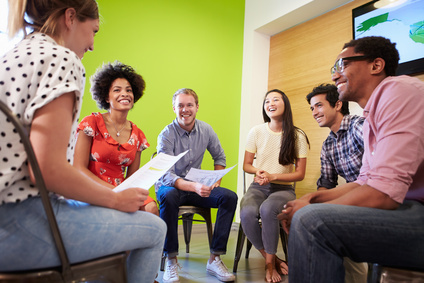 We work with you to create the right blend of development input and supervision and peer support activities for the needs of the group, and your context. We were invited to run some support and development sessions for Age UK Haringey's volunteer befriending groups. The sessions were split between skillbuild and peer support activities. Skills development focused on techniques to boost the positive impact of befriending conversations. The peer support session was designed around conversational techniques to promote peer collaboration and shared solutions to issues affecting individual befriending relationships. The activities enabled new volunteers to feel more confident, longer terms volunteers to refresh skills, and offer their experience in the spirit of building positive collaboration and engagement.